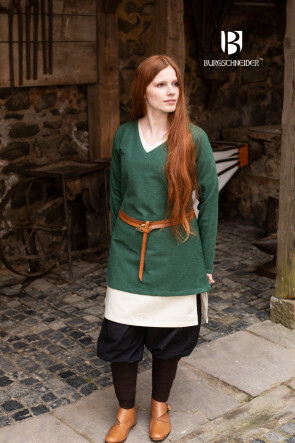 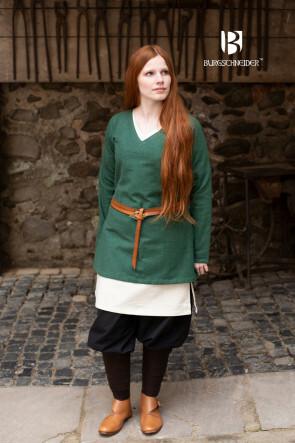 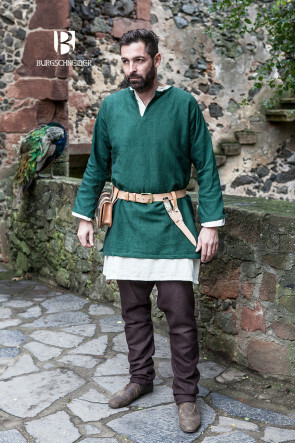 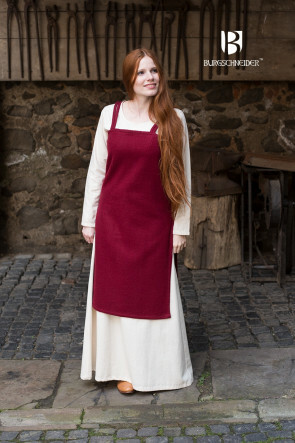 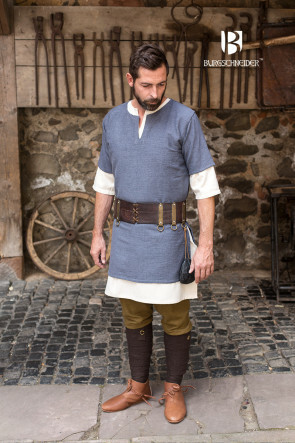 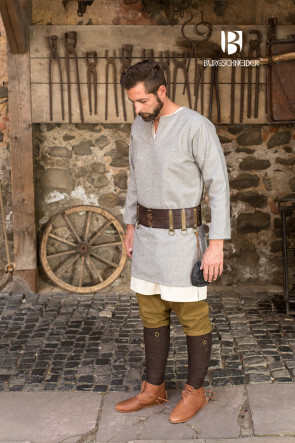 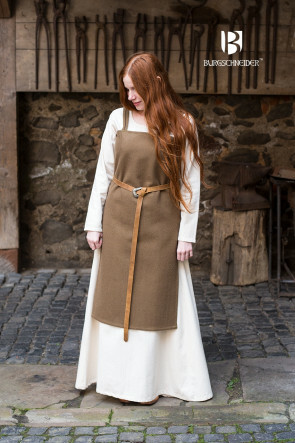 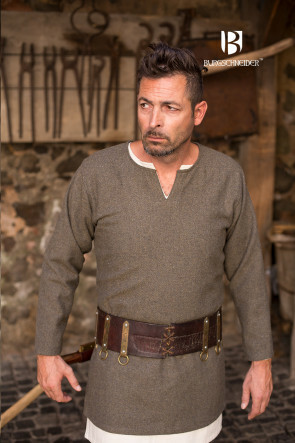 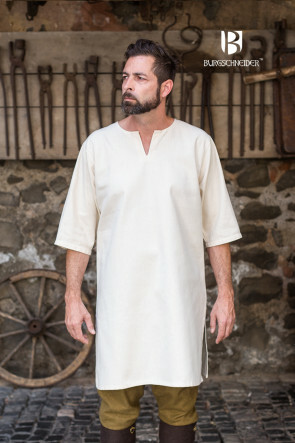 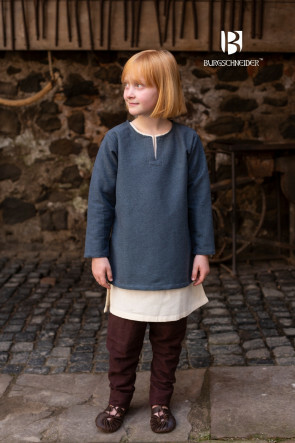 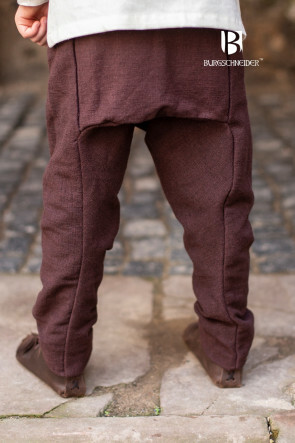 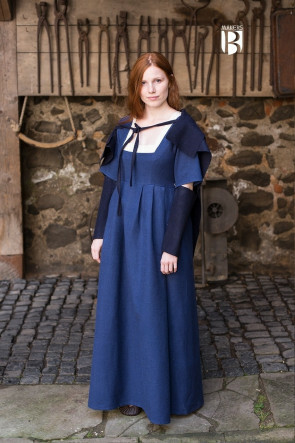 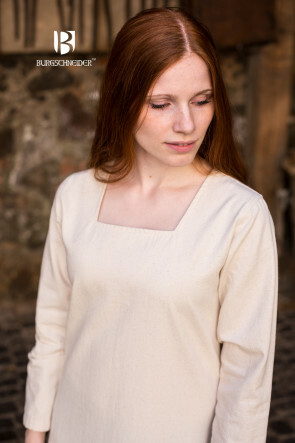 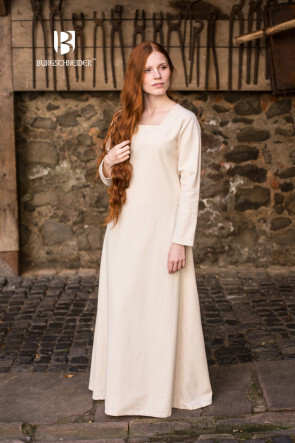 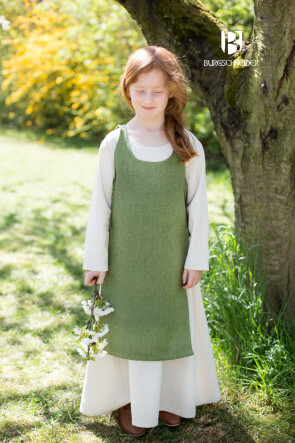 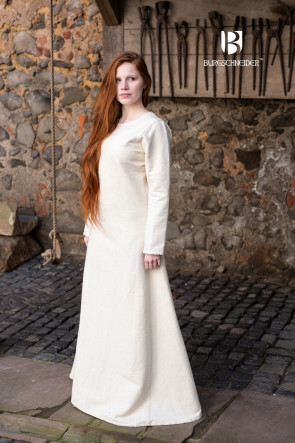 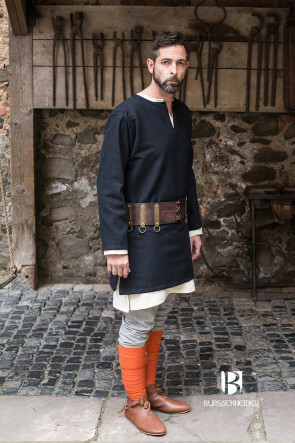 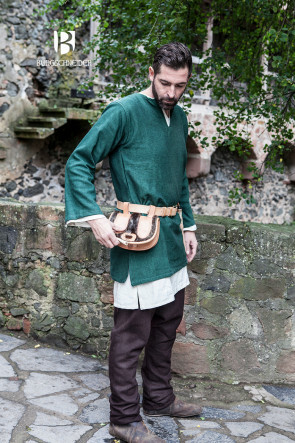 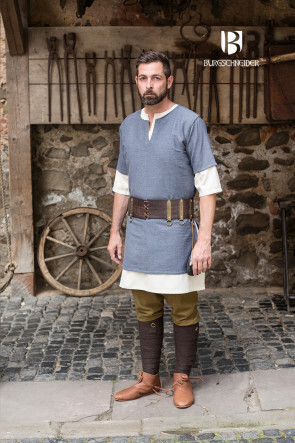 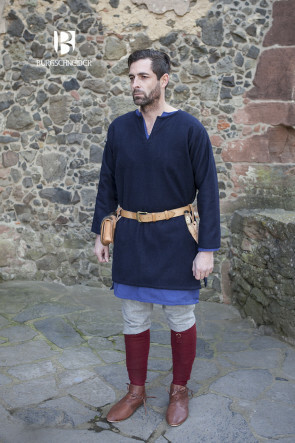 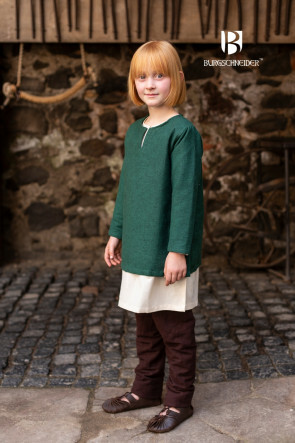 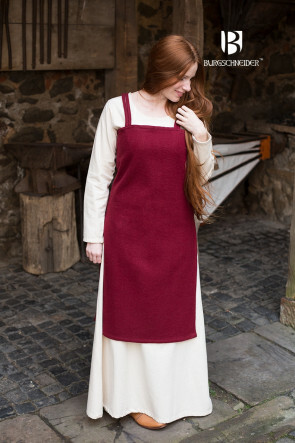 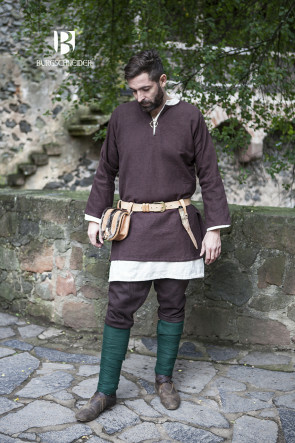 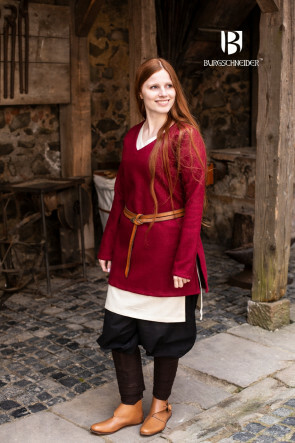 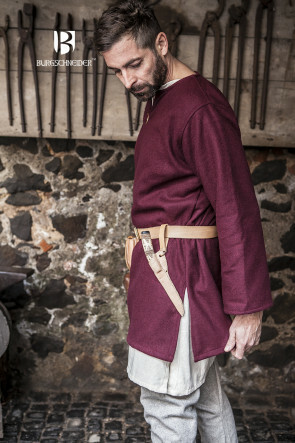 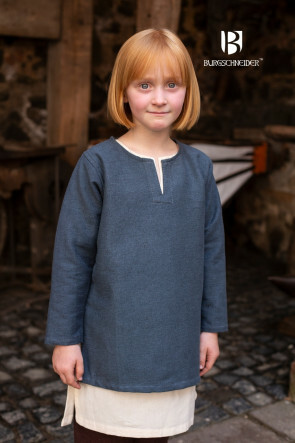 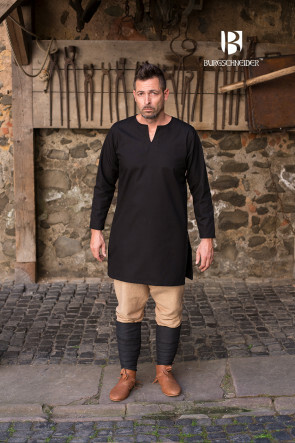 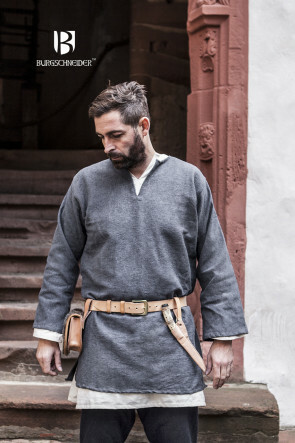 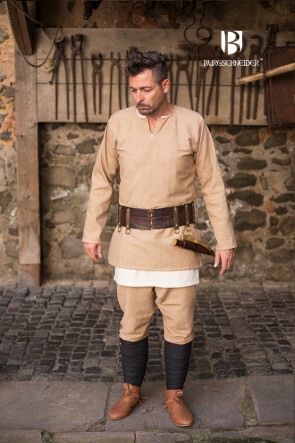 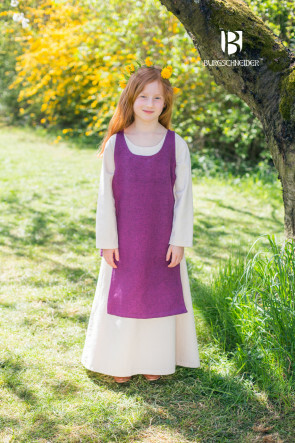 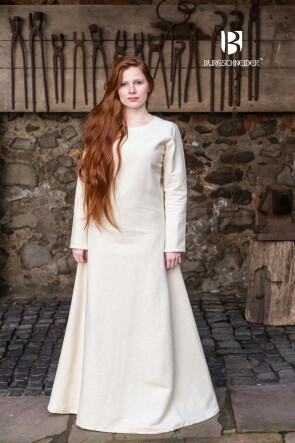 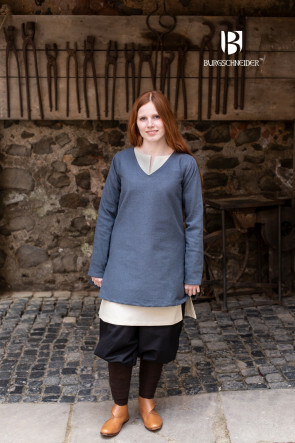 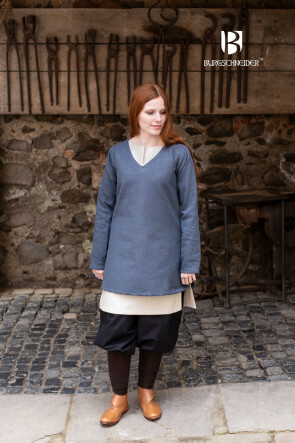 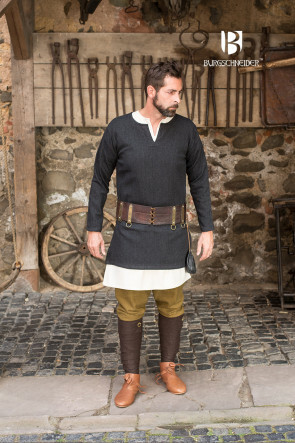 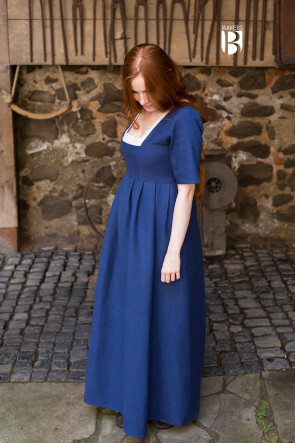 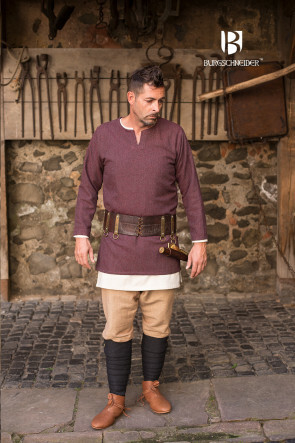 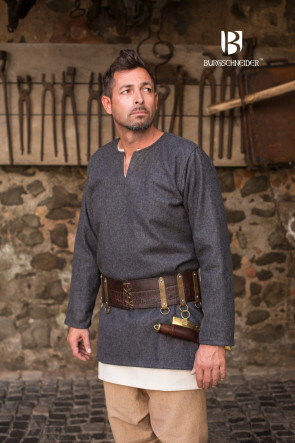 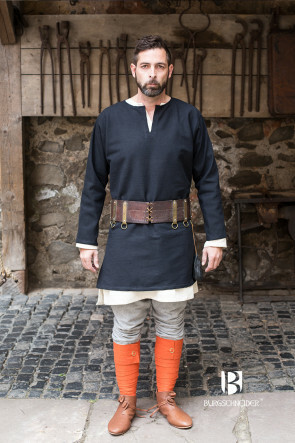 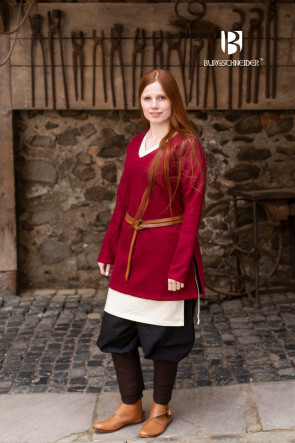 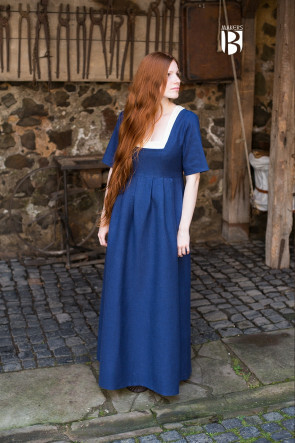 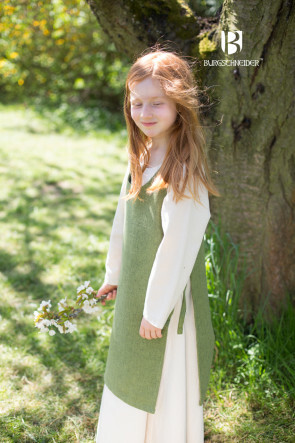 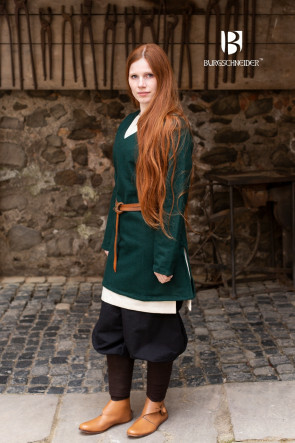 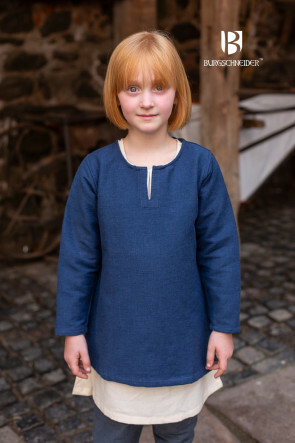 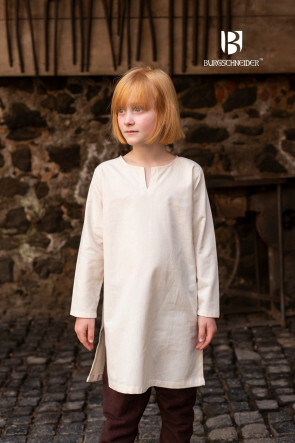 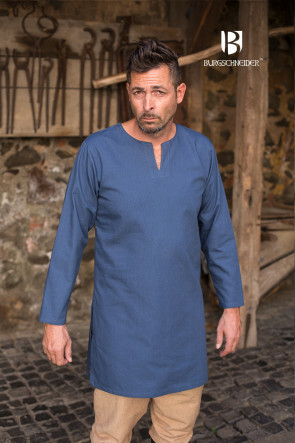 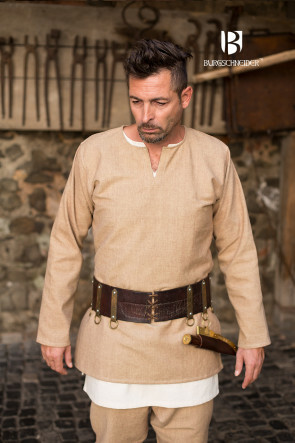 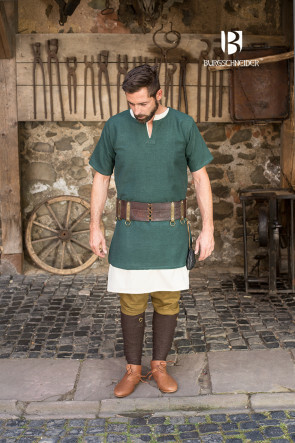 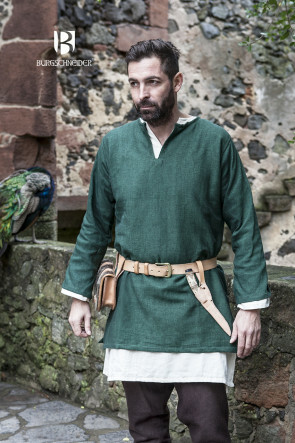 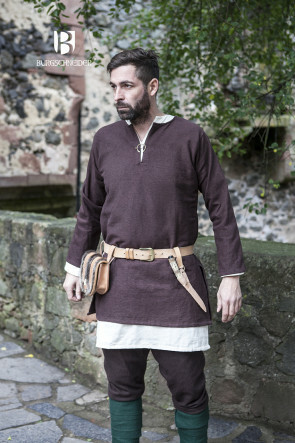 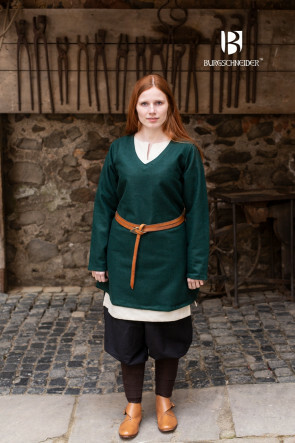 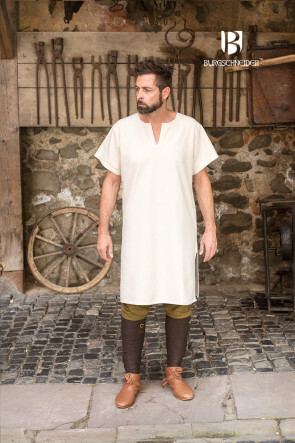 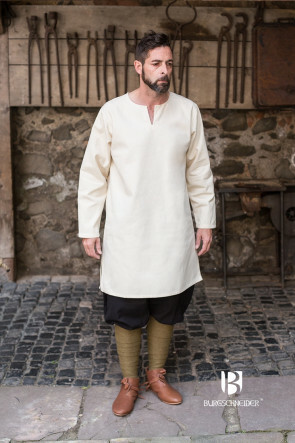 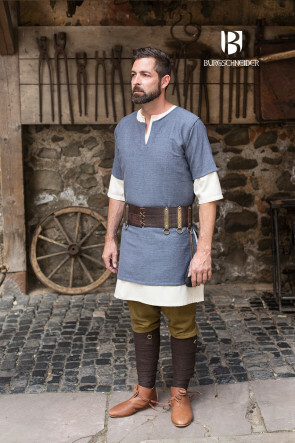 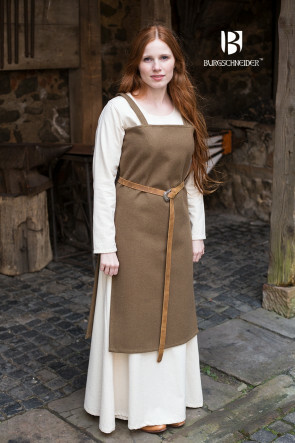 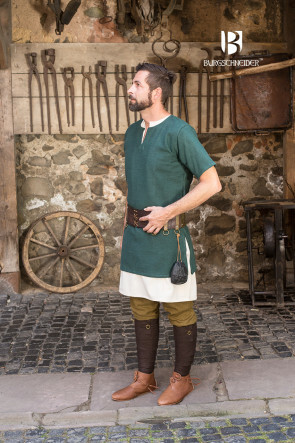 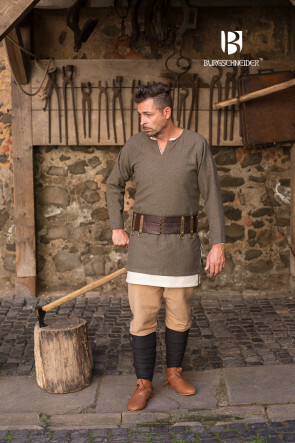 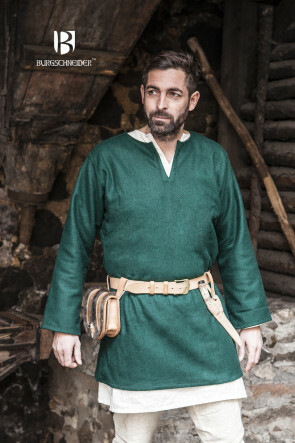 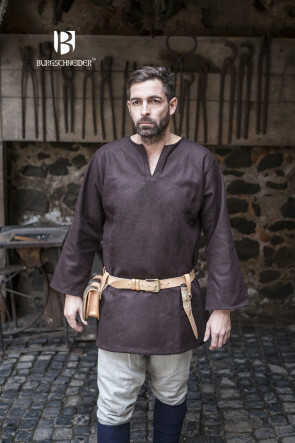 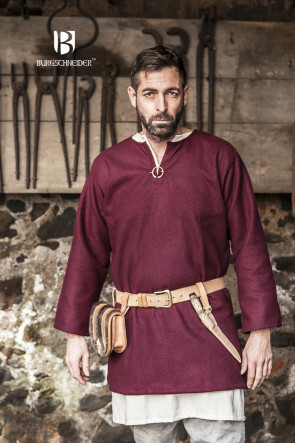 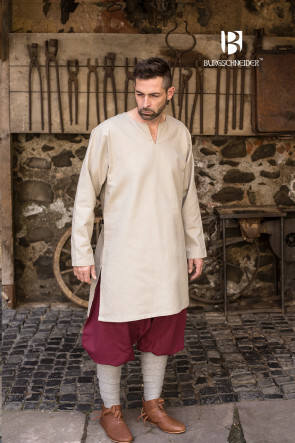 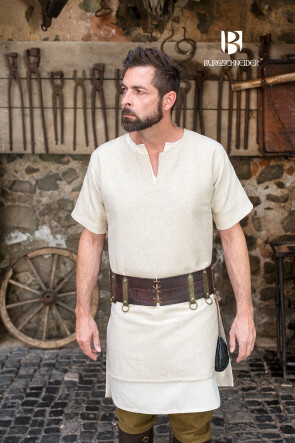 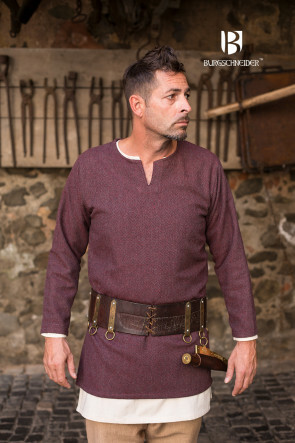 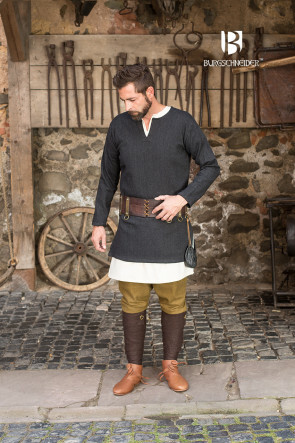 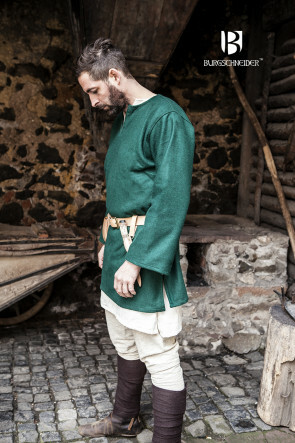 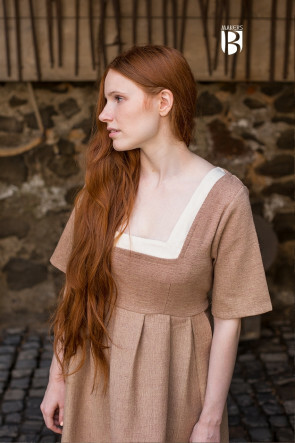 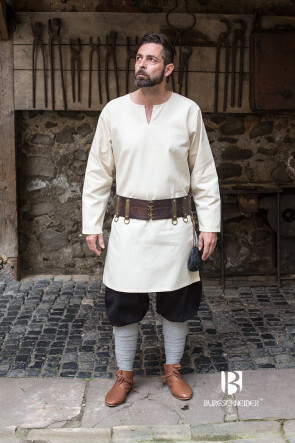 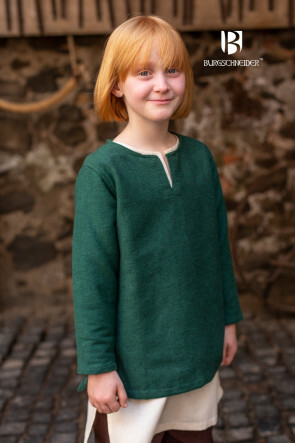 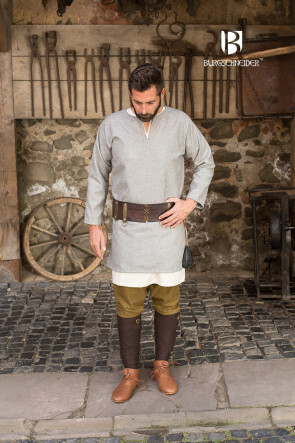 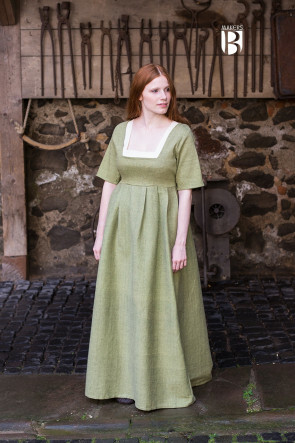 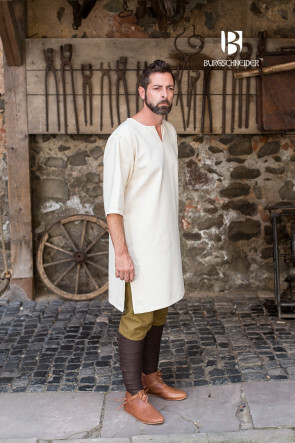 For more than twenty years, the Burgschneider team has been manufacturing historical clothing focusing on medieval reenactment. 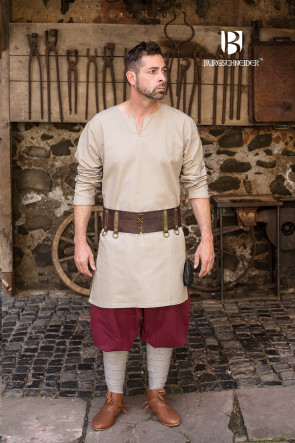 During that time, our product assortment expanded beyond the Middle Ages, and now includes costumes from movies, theater, and gaming. 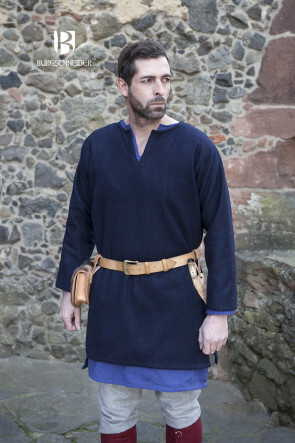 To distinguish between medieval garments and costumes lacking definitive historical sources, we divide our products into two different lines: fashion based on historical sources can be found under the brand Burgschneider Ancestry, whereas costumes inspired by literature, movies, pop culture, or gaming is subsumed under Burgschneider Legendary By so doing, we hope to help our fans, costumers, and friends to discern between historical and fictitious designs. 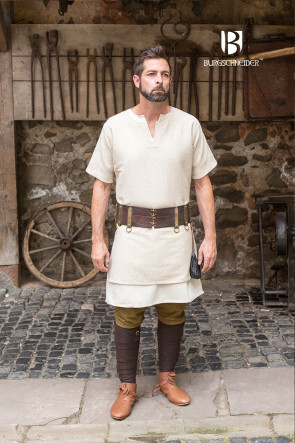 For the Burgschneider Ancestry Edition, our highest priority is to depict the asthetics and the look of the people from a certain region and epoch as authentically and with the greatest historical accuracy possible, in order to capture and recreate the spirit and feel of that particular time. 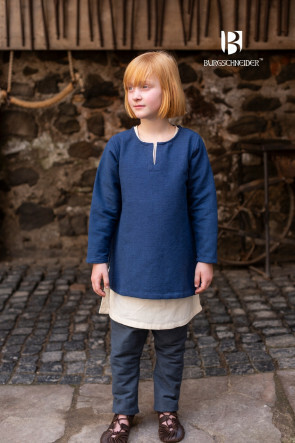 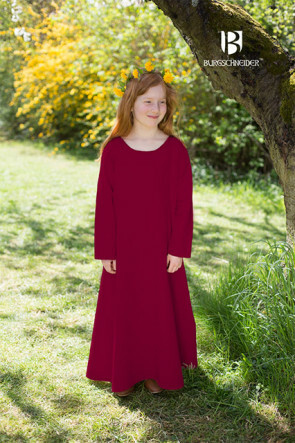 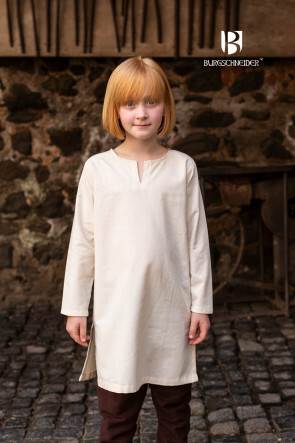 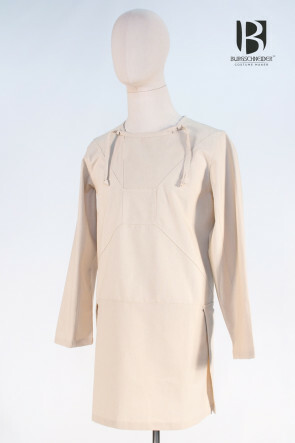 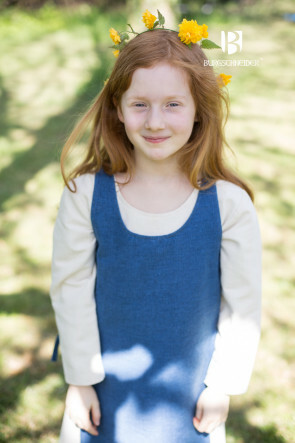 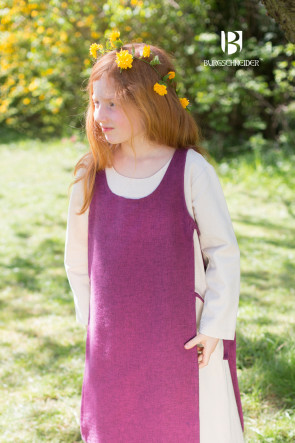 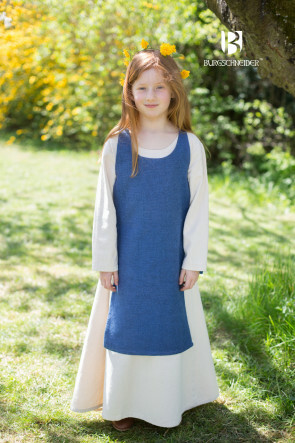 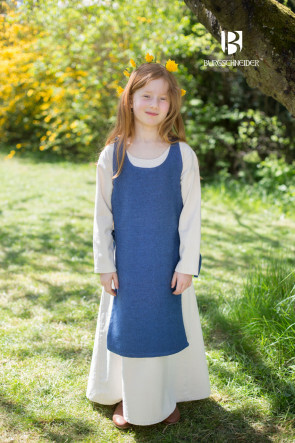 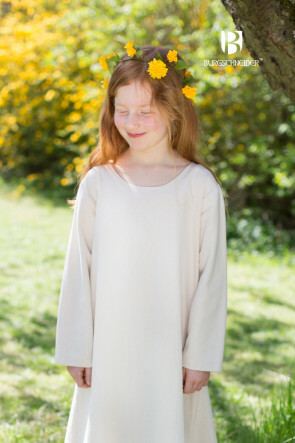 In order to offer this experience to as many people as possible, we manufacture our products employing modern technology, contemporary materials (such as wool blend fabrics), or processed materials like linen, wool, and cotton. 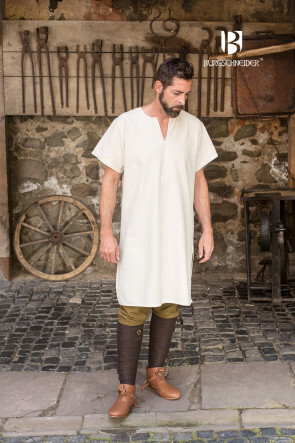 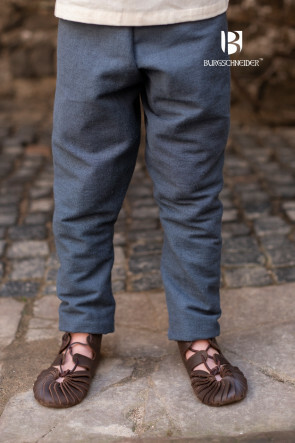 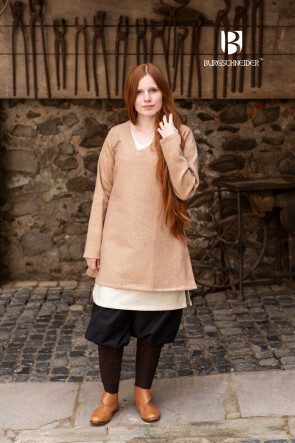 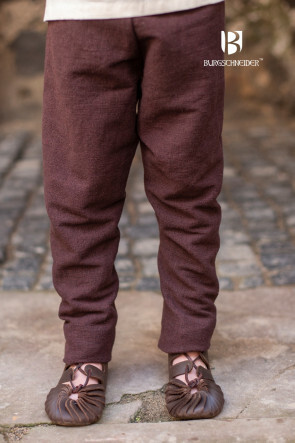 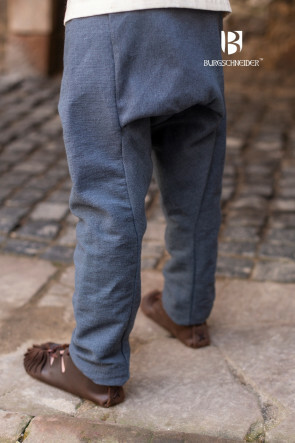 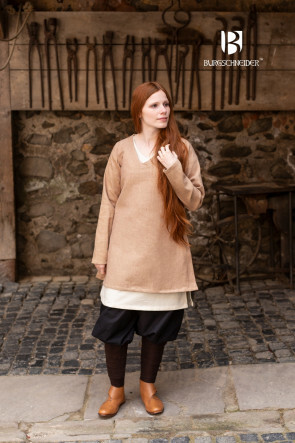 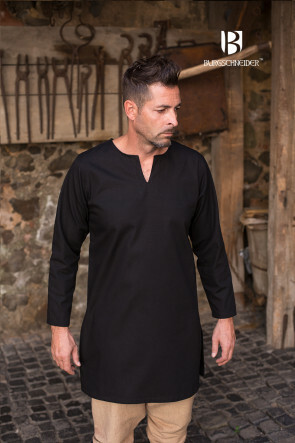 After all, manufacturing clothes using historically accurate, authentic means—starting with obtaining the raw materials, all the way up to handcrafting the final product—would obviously exceed the average household’s budget. 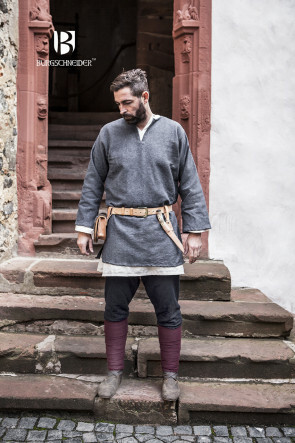 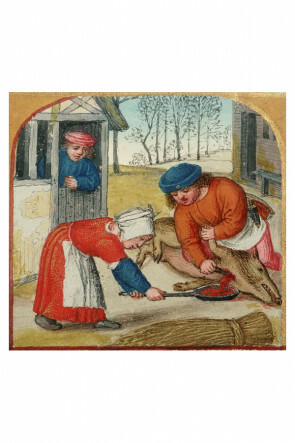 The designs of our historical clothing for the Burgschneider Ancestry Edition are based primarily on contemporary sources such as paintings, tapestries, and illustrations from books, as well as archeological findings and scientific research. 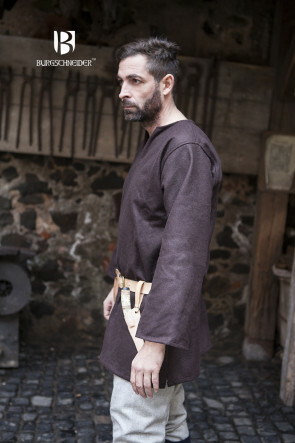 To verify our interpretations and ideas, we engage in further collaboration with museums, archeologists and historians.